"Lifestyle Medicine" is one of the newest defined and growing fields in healthcare today. Come hear the "inside story" of its development, struggles, and triumphs in paving the way for transformation to a better, brighter future of truly evidence-based effective and affordable healthcare for tomorrow; as well as what it looks like in its development in the Salem area today with multiple healthcare professionals. This conference will focus on the need for action for mothers and babies impacted by the opioid and other drug epidemic. An emphasis will be placed on medical concerns around pre-natal care, issues during labor and delivery, as well as post-delivery necessities to build resources to ease the life consequences for these children. Presentations, facilitated discussions, skill building workshops and networking to build understanding and share resources. Sponsored by Marion County Health & Human Services, Bridgeway and WVP Health Authority. JOIN US FOR THE BEST NETWORKING EVENT OF THE YEAR! We are committed to fostering relationships, and look forward to this opportunity to bring you together with your colleagues in celebration of the new medical providers in our local community! Hosted by the Marion-Polk County Medical Society, this exclusive event features delicious appetizers, wine pairings and live music. 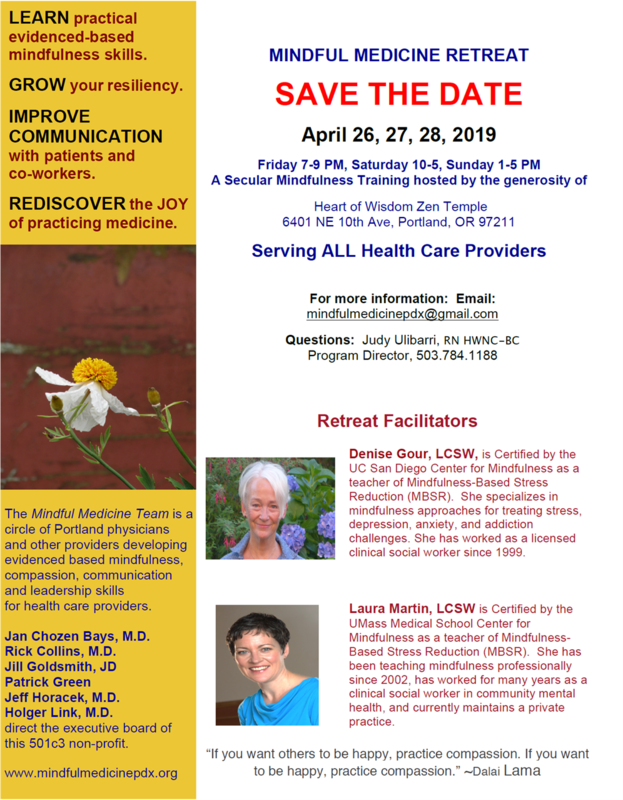 All MPCMS Members are welcome to attend with a guest, as are non-members (MDs, DOs, DPMs, NPs or PAs) who are new to the area in the last three years.